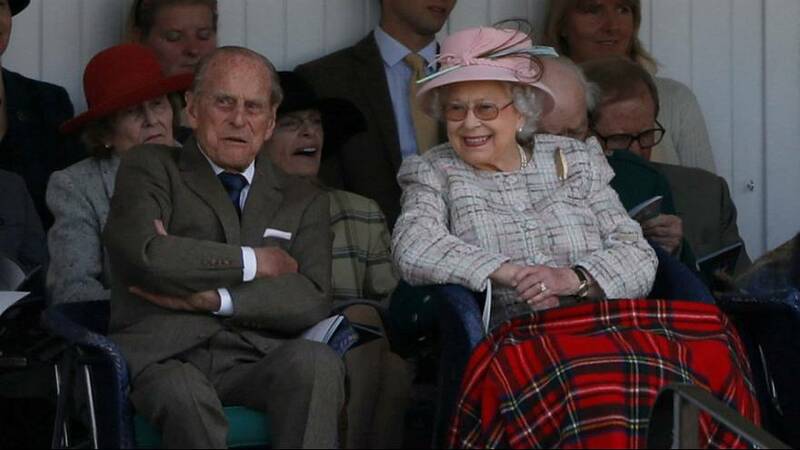 Britain’s Queen Elizabeth will add another landmark to her record-breaking reign on Monday when she and Prince Philip celebrate their 70th wedding anniversary. Princess Elizabeth, as she was at the time, married dashing naval officer Lieutenant Philip Mountbatten at London’s Westminster Abbey on November 20, 1947, just two years after the end of World War Two, in a lavish ceremony attended by statesmen and royalty from around the world. Seventy years on, Elizabeth, 91, and her 96-year-old husband will mark their platinum anniversary with a small family party at Windsor Castle, the monarch’s home to the west of London. 2. | 1957-1967 | Queen Elizabeth II and Prince Philip watch a cricket match in Hampshire, England, August 3, 1958. 3. | 1967-1977 | Queen Elizabeth II and Prince Philip pose for a portrait to commemorate their 25th silver wedding anniversary, November 20, 1972. 4. | 1977-1987 | Queen Elizabeth II and Prince Philip during a visit to Tuvalu in the South Pacific, October 27, 1982. 7. | 2007-2017 | Queen Elizabeth II and Prince Philip on the Buckingham Palace balcony on July 10, 2015.